Do you have a steady flow of documents you have to complete every month? Are you sending offer letters or reviews on an ongoing basis? Wouldn’t it be great if you could create reports and email them while you’re on the go, through mobile? Is this how you’re working with documents? Believe it or not, there is a solution for you, Zoom.ai’s docgen solution. Unlike other docgen tools, Zoom.ai allows users to efficiently create and update document templates in seconds, within chat and while on the go. Creating routine documents like contracts, NDAs and agreements is another antiquated office workflow that somehow remains a key part of work. These documents now exist as fill-in-the-blank templates in Word or PDF form, yet we’re still filling them out by hand. Drafting documents consumes 10 hours a week of knowledge-workers’ time, according to research done at Zoom.ai. Even worse, two hours a week are spent recreating documents that could not be found. This is not only a time sink but also an enormous drain on otherwise productive energy. Zoom.ai’s lean yet powerful product easily integrates into your existing chat platforms, and our intuitive NLP helps to expedite data queries and selects to produce documents in a flash. WYSIWYG: Your document output looks just like your template input, and adding values is as simple as a few messages to your automated assistant. Once you’ve entered in all the necessary values, you can ship the document off to it’s intended recipient – the whole process takes less than 2 minutes! 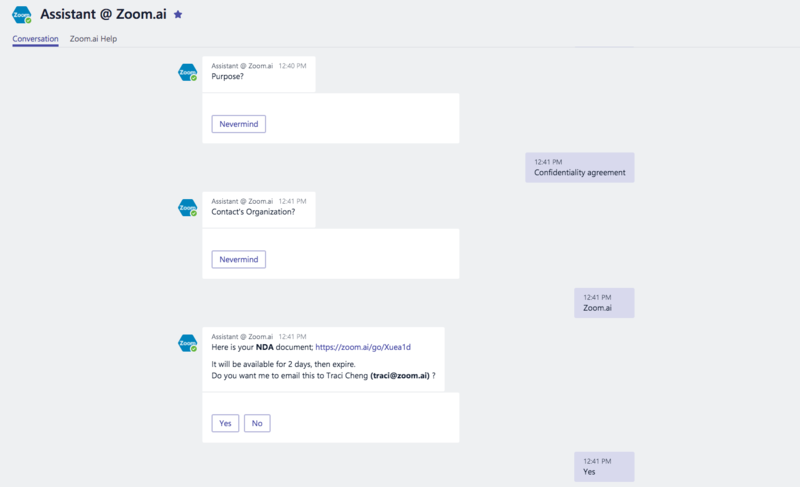 By simply typing a command into your chat, similar to this: “Generate a non-disclosure agreement for Traci Cheng” triggers a workflow that initiates a series of questions, populates it and emails it to the candidate. Your assistant will ask you what type of document you need, and who it will be sent to. Here, your assistant outlines the necessary values for you to provide. Upon completion, your assistant will ask you if you’d like to email it to the intended recipient, or you can just download the PDF. N.B. : It’s important to have your account synced with Zoom.ai so your assistant has access to all your contacts, otherwise it won’t know where to send the file. The opportunities are endless. 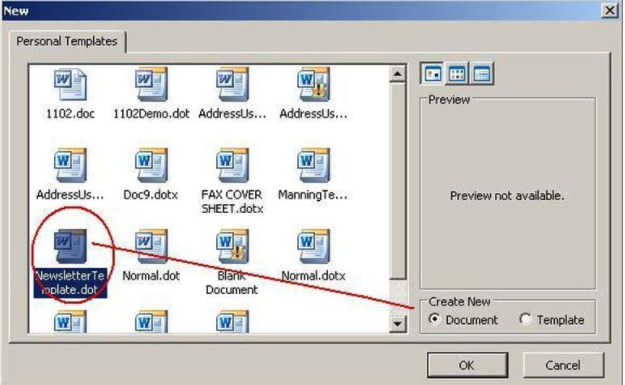 Connect with us to learn how to use the document generation feature, and more, to your advantage!